Properties for sale in Brentwood are often luxury homes with large gardens, pools and tennis courts. Compared to neighboring Santa Monica, properties in Brentwood typically come with much larger lots, allowing more opportunity for an outdoor lifestyle. It is this that typically makes Brentwood real estate seem very lucrative to investors, but also very attractive for homeowners. especially popular within the entertainment elite. But there is a very diverse inventory of homes for sale in Brentwood,which means that even though you cannot avoid noticing the multi-million-dollar estates, there are also smaller homes and condominiums available offering everyone the opportunity to own a piece of Brentwood real estate. You can even own a ranch home here, where you could keep your horses and enjoy a canyon lifestyle. One of the thing?s that makes properties in Brentwood unique is the small town atmosphere that prevails. Despite all the Luxury homes and large estates that are available here, Brentwood home owners have created a strong sense of community and are often found helping the community, whether at charities or at the local schools. so, despite being both quiet and private, there is a small town feel and social aspect to Brentwood. 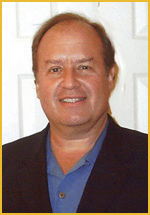 Richard Chernock is a realtor who knows Brentwood and has lived, worked and grown up on the west side. His experience is hard to match. Ask him to help you in your search for properties in Brentwood.